We are half way through paying off our construction debt for our expansion project started in 2014. Do you remember 2014? Fantasy Flight Games was still an independent company, Magic was going strong and the big news story was the outbreak of Ebola. Good times. Our Kickstarter did fund successfully that year. We did complete the project, albeit two years late. We did send out all the rewards, and one refund to that jackass who likes to leave me (hidden) blog comments. That saga is a whole other story (it's in the book). 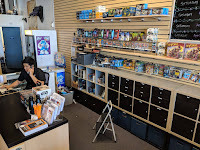 Customers occasionally come in, tell us how they're great supporters of ours, how they buy all their games from us and ... holy hell, you built a second floor!!! Yes, thank you, thank you. Mmm hmmm. I stopped mentioning it was years ago. Snark is not appreciated and we need all the customers we can get. Got debt to pay down. So how are we doing? It's a bit of a struggle making loan payments and trying to grow during a period of industry transition. There are projects I would like to do. There's a white board in my office with $20,000 worth of stuff. 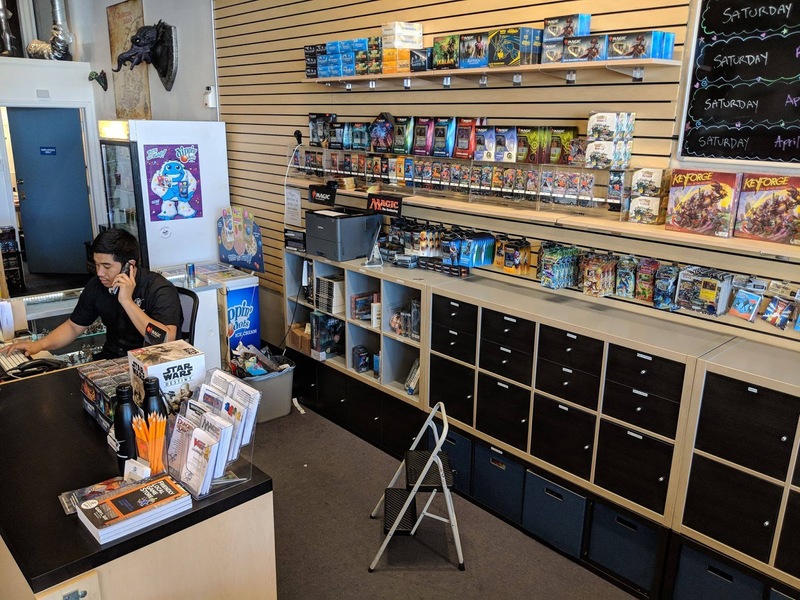 Yet, we just improved the store in our bid to obtain Wizards of the Coast "premium" status, and we somehow came up with the thousands to do that. Yes, thousands of dollars for a nebulous status. However, this is exactly what I had been asking for. 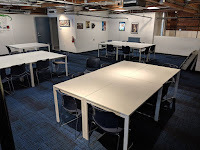 Recognition of hard work and capital spent to improve a venue rather than shoeboxes of cardboard (even though the cardboard is more in line with success with the WOTC model). How could I not pursue this? When motivated, we can make things happen. 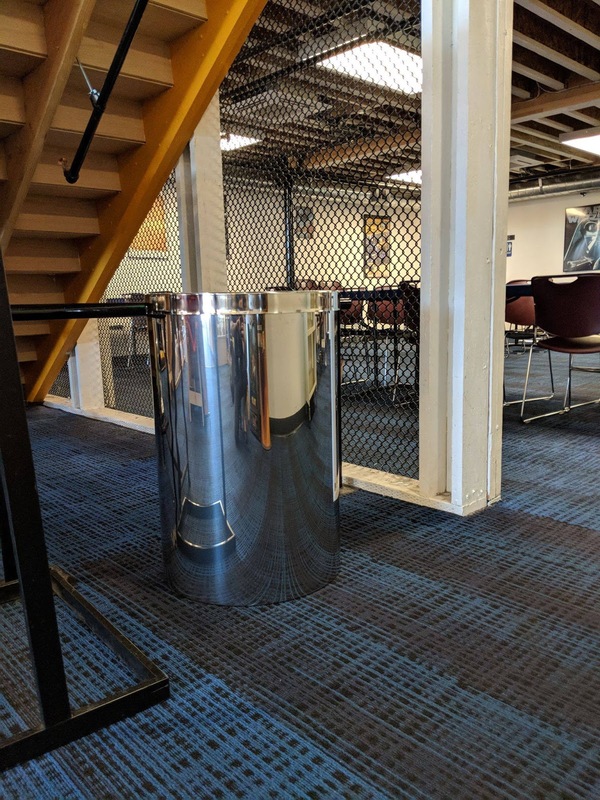 In the future we shall refer to this as the Shiny Trashcan Effect. 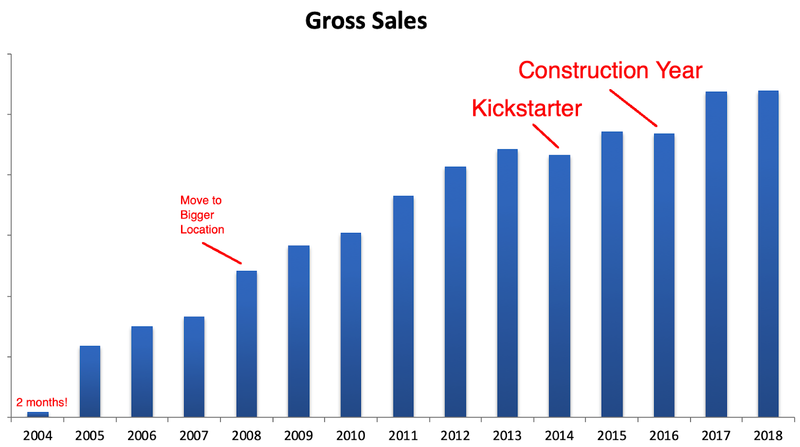 Our sales necessary for growth, the needed engine to pay off our debt, have exceeded expectations. We saw a large jump when the space was complete, but it was a one time thing (about three times bigger than projected). We immediately went back to the grind. It brought home the fact that the space is really important to a small subset of customers (20%). That money spent on doubling inventory would have seen growth over years, but probably slower growth, rather than all at once. 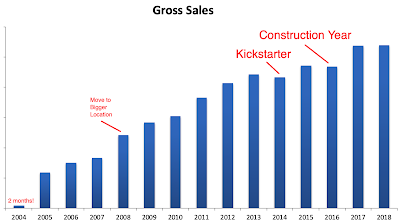 There's also the question of whether doing nothing at all would have led to the same growth rate, considering we struggled to focus the business in the Kickstarter and construction year. No, no, this will have longer term benefits, if we can leverage them. 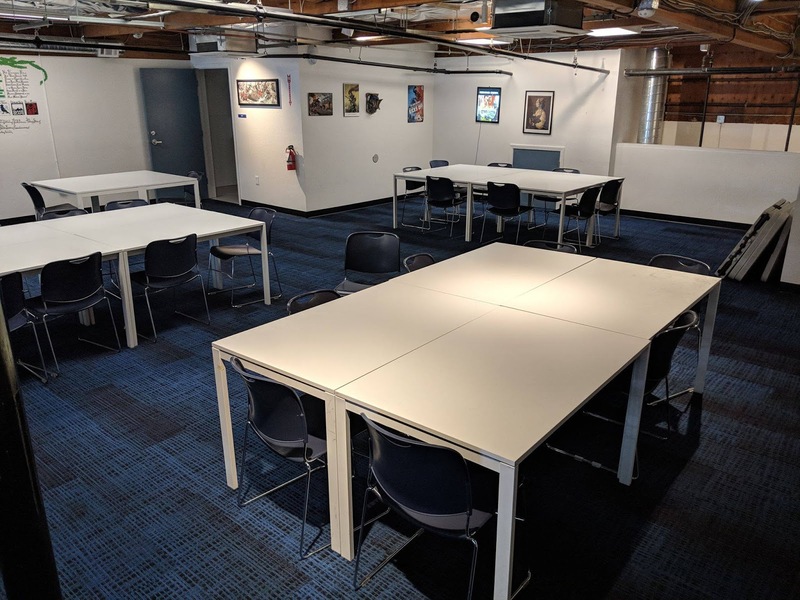 Anyway, we're up 25% this year, due to a number of factors, so I'll continue to fantasize about that white board and work on projects that don't require intensive capital. And maybe we'll hit Premium status with WOTC and see some benefit there. Disqus for Quest for Fun! Subscribe To Quest for Fun!